The WPT is reaching the climax of its 2016-2017 season with a trio of events at Seminole Hard Rock in Hollywood, Florida. The Seminole Hard Rock Poker Showdown festival started March 16 and is followed by the $2m guarantee Seminole Hard Rock Poker Finale from April 2-6. We are the tour’s Official Travel Partner so do check for hotel deals here. There are total of 102 events on the Seminole schedule including the WPT Showdown Championship from March 31 – April 5 and the WPT Seminole Hard Rock Finale from April 2-6, both with the $2m guarantees. Also coming up are a $50k guarantee NL Big Stack, a $1,100 NL Turbo, a $1 million guarantee High Roller and a $2,200 re-entry Deepstack PLO. The second ever WPT Tournament of Champions starts April 7. 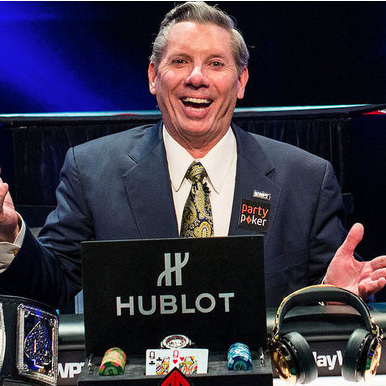 The three-day event will feature all the members of this season’s WPT Champions Club. The newest member of the club is Mike Del Vecchio, who won his first World Poker Tour title yesterday (March 15) at WPT Rolling Thunder. Del Vecchio, who hails from New York but now lives in Las Vegas, beat a talented final table – and 421 entries overall - to win his first major trophy and the top prize of $284,638. Among others who have won their $15,000 entry into the season-ending WPT Tournament of Champions are partypoker WPT Caribbean champion Niall Farrell and WPT commentator Mike Sexton who won WPT Montreal in November. They’ll be joining the likes of recent champions Sam Panzica (WPT Bay 101), who is currently leading the Hublot WPT Player of the Year race, Daniel Strelitz (LA Poker Classic) and Ema Zajmovic who became the first woman to win a WPT title when she took down partypoker WPT Playground in February. The inaugural Tournament of Champions was won by Farid Yachou who walked away the title, $381,600 in first-place prize money and an extra $150,000 worth of prizes from WPT sponsors. Yachou, who is now ranked #1 on Morocco’s all time money list, got his seat into the prestige event after winning WPT Amsterdam in May 2015. There were 64 players last year with Michael Mizrachi, Noah Schwartz and Darren Elias and Andy Frankenburger among the eight players to cash.